From concerts and conferences to film shoots and recordings, Kay Meek Arts Centre is well equipped to handle a variety of events and performances. 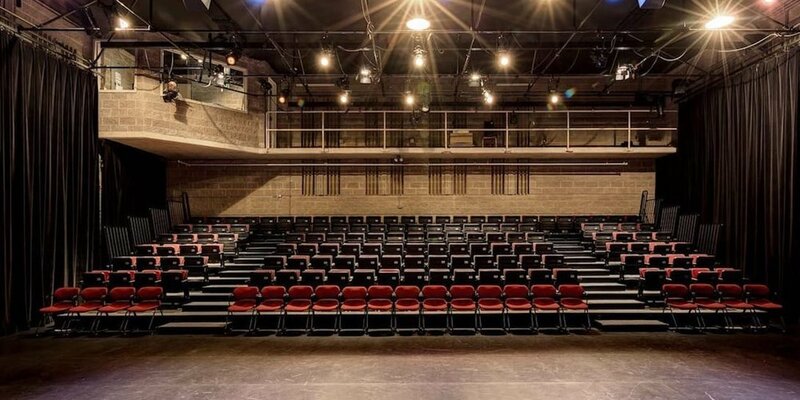 Both of our multi-faceted theatre spaces are available for rent, options including: Corporate Receptions, Galas and Fundraisers, Educational/Training Sessions, Business Meetings, Product Launches, Cocktail parties and pre/post performance events. The Grosvenor Theatre is a traditional proscenium arch theatre with continental seating that offers comfort and excellent sightlines. Beautifully finished with blond wood, soft pink brick and rich purple fabrics, the theatre also boasts acoustics that are well suited to the wide range of performances taking place in the venue. The Grosvenor Theatre at Kay Meek Arts Centre is a state-of-the-art, full service, 488 seat performance facility. The Grosvenor Theatre is available for concerts and other public performances, large meetings and music recording. The flexible and intimate Studio expands Kay Meek Art Centre's ability to present world-class performances. The Studio is the home for not only local community groups and companies but also for emerging and established North Shore artists, as well as for avant-garde and classical drama, dance productions and small music ensemble performances. The standard configuration accommodates 148 people. Non-standard options are available.